Alan has been in the renewable energy and energy efficiency industries since 2005. His experience ranges from project management, design and estimating to on-site technical lead for several of the largest solar installations in the country. Alan’s formal education includes degrees in Renewable energy, Construction Management, and Business, and he has achieved NABCEP accreditation for both PV and Thermal Installation . He has extensive hands-on experience in solar thermal, solar photovoltaics, micro-hydro and small wind, and specializes in commercial-scale solar. Pascal brings more than 35 years of commercial and industrial electrical experience to our team, and has been an invaluable part countless residential, commercial, and utility-scale solar energy projects. His many years experience in electrical maintenance plays a very important part in RDA’s commitment to quality, and sets us apart in the O&M field. 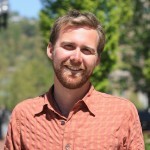 Adam is a graduate of Appalachian State University’s Renewable Energy program, and brings a wealth of design and installation experience to RDA. With many Megawatts design, installation, and commissioning under his belt, he splits his time between new installations, O&M, and the design chair.